Happy people result in increased productivity. Framery is a pioneer and leading company in manufacturing and developing soundproof private spaces that enable and reinforce happiness in workplaces. Framery was founded in 2010, and it’s products solve noise and privacy issues in dozens of the world’s leading brands’ offices, including Microsoft, SAP and Deloitte. PwC offers experienced and comprehensive help for a wide range of business needs. No matter how big you are, public or private, and in what industries or sectors you do business, we can help you work smarter and reach your goals. In PwC Finland we have over 1000 professionals at your service, and with our global network we can serve you in 157 countries. Have a look at www.pwc.fi and let’s talk! CCEA is Finland’s largest company specializing in implementing change and the preferred partner of the large, complex corporations. Our customers know what to change in their business. We know how to make changes happen and stick in order to capitalize the return on change investment. In 2017 CCEA celebrates its 10th anniversary. 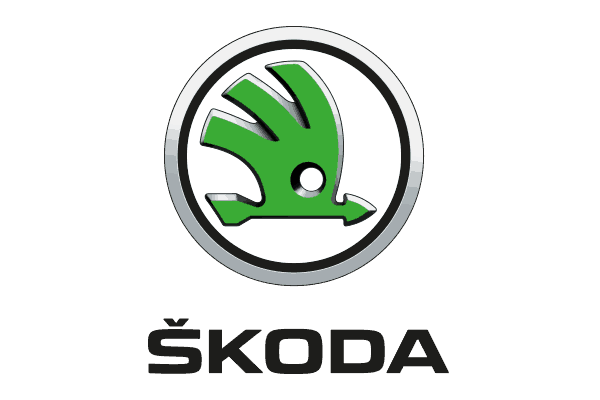 ŠKODA AUTO is one of the world’s oldest car makers. Its origins go back to 1895, when Václav Laurin and Václav Klement set up a firm paving the way for more than a century of Czech car production. The extensive ŠKODA collection offers excellent options for the demanding Finnish taste. This is supported by several number one positions in tests and the fact that Finns trust its quality, spaciousness, fuel-effectiveness, accessories and unparalleled price-quality ratio. These properties together with a comprehensive service network have been the cornerstones of Škoda’s success for many years. Elisa is a telecommunications, ICT and online service company serving 2.3 million consumer, corporate and public administration organisation customers. Elisa provides environmentally sustainable services for communication and entertainment, and tools for improving operating methods and productivity of organisations. In Finland Elisa is the market leader in mobile subscriptions. Cooperation with Vodafone and Telenor enables globally competitive services. Elisa is listed on Nasdaq Helsinki Large Cap with over 200 000 shareholders. The Brightline™ Initiative is a coalition led by the Project Management Institute together with leading global organizations dedicated to helping executives bridge the expensive and unproductive gap between strategy design and delivery. The Brightline Initiative provides organizations with three key benefits that will improve their ability to deliver on strategic intent: Thought and Practice Leadership, Networking, and Capability Building. Learn more at www.brightline.org. Jyväskylä is a progressive, fast-growing business hub that takes entrepreneurship to the next level. We are proud of our thriving enterprises and innovations. Companies such as Valmet, Landis+Gyr, Paytrail, Nordic Business Forum, KasvuOpen and Firstbeat are all innovative Jyväskylä-based success stories – and we want more of them! Jump right in – it’s the right move. Finavia, Finnish airport operator, connects Finland to the world through its national airport network. Finavia is known for its exceptional service and smooth operations. Helsinki Airport is the leading long-haul airport in the Northern Europe with 145 direct destinations all around the world. Roschier is a leading Nordic law firm with an international reach. We are continuously involved in the region’s most demanding matters and known for adding value through an innovative and strategic approach. Passion, close client relationships and commitment to quality ensure that our advice goes beyond the obvious and achieves the best possible outcome. When it matters: Roschier. Internationally accredited University of Jyväskylä Executive MBA is an inspiring journey to learning that provides the participants with higher level leadership skills. We educate executives who are able to change the world. Our goal is to enhance success on individual and organizational level. Invest in your success and join the life-changing experience with energizing network! Committed to your health – Aava is a Family owned Finnish health care company and one of the largest chains of private medical centres in Finland. With a 54 year long experience in the field, we provide services for every stage of your life. Our specialists represent the majority of clinical specialties providing the care you need. We offer health and wellbeing services with key focus on preventive medicine supported by innovative digital health solutions. Varma is a mutual company, owned by its client companies and self-employed persons, insured employees and owners of the guarantee capital. Corporate social responsibility is an essential part of all of our operations. Our workability management and rehabilitation services help client companies to save in pension and sick-leave costs. Varma is the official networking partner of the event. Kämp Collection Hotels consists of Finland’s most reputable hotels, restaurants and luxurious spas. Kämp Collection Hotels’ best-known hotels are Hotel Kämp established in 1887 and the luxurious Hotel St. George opened in May 2018. Also part of the group are the Design Hotel Klaus K, the popular lifestyle hotel chain GLO Hotels, the exclusive and comfortable Hotel Haven, the elegantly modern Lilla Roberts and the uniquely welcoming Hotel Fabian. Accountor Finago is a Nordic provider of e-financial solutions for small and medium-sized businesses. With the solutions, the company remains at the forefront of electronic development and the basis of its business, financial management, is managed quickly and reliably. The software of the Finago product family, Procountor and Tikon, is already in use in more than 120,000 companies and more than 1,400 accounting offices in Nordic countries. Digitalization is the word of the day, but what it means to your business? How do you connect the dots between people, data, technology and design? We promise to guide you through the digitalization creating better experiences and services, using the latest methods and technologies. With 74,000 professionals across the globe, CGI delivers an end-to-end portfolio of capabilities and works with clients through a local relationship model complemented by a global delivery network. Redesign your future. Make your next move. Epicenter, House of Digital Innovation, is a world-class environment and community of corporate innovators, scale-up entrepreneurs and creative talents who build services for tomorrow. Epicenter has over 4000 members and 350 companies, located in Oslo, Stockholm, New York, Amsterdam. In December 2018 Epicenter Helsinki opens its doors – here members are invited to innovate alongside the world’s fastest growing digital companies and creative corporate initiatives. Epicenter acts both as a commercial engine and as a role model in its chosen markets. Our mission is to establish Epicenter House of Innovation in the key digital hotspots of the world. From factory automation to logistics automation and process automation, SICK is one of the leading sensor manufacturers. As a technology and market leader, SICK provides sensors and application solutions that create the perfect basis for controlling processes securely and efficiently, protecting individuals from accidents, and preventing damage to the environment. The robots of Nordic Business Forum are secured by SICK safety laser scanners. Veckans Affärer is a Swedish business journal, published weekly in print and digitally, and daily online. Veckans Affärer is the number one choice for Sweden’s business executives. We give them stories, analysis and background behind the events that affect their business, nationally and internationally. RBC is a leading Russian media holding, with leadership positions in news and business media, as well as in domain name registration and hosting. The company’s history counts more than 20 years. RBC employs key media platforms such as the Internet, TV, and press, develops B2B media services, and provides domain registration and hosting services (RU-CENTER Group). Helsingin Sanomat offers world-class journalism, reaching nearly 2 million Finns every week. Last year HS grew in subscriptions for the first time in 25 years. Helsingin Sanomat continues to grow in digital subscriptions by providing unique content and perspectives on society, culture, science and wellbeing.